Jack Nowell, part of England’s record-breaking rugby union side, is supporting a high profile campaign in the South West to encourage young drivers and their passengers to take responsibility for the way they and their friends drive. As part of the Learn2Live road safety initiative, Jack appears in a new film created by Exeter-based Wide Eye, in which he talks about his personal experience of being involved in a road traffic accident and encourages young drivers to attend the Learn2Live events. 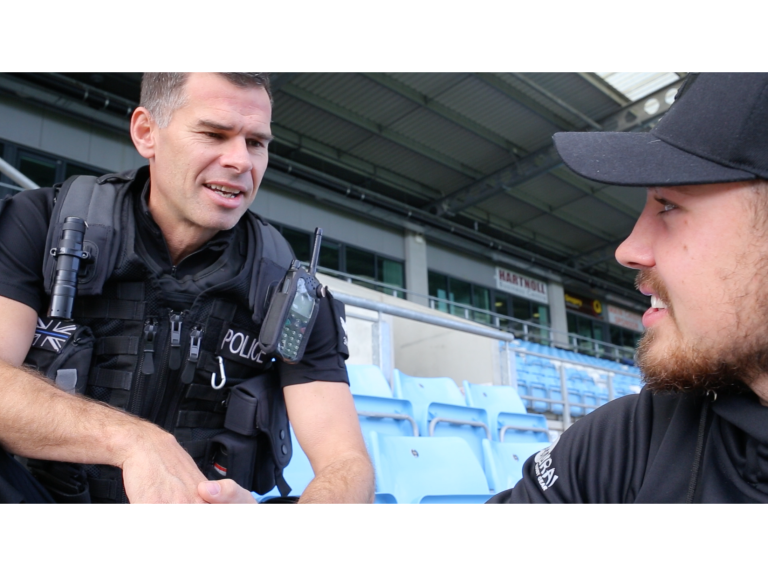 Filmed at the Exeter Chiefs’ home ground, Jack – patron of The Honest Truth road safety charity – is seen meeting two of the brave speakers who volunteer their time to educate students about risks on the road at Learn2Live events in Devon and Cornwall. Jack talks to traffic officer Sergeant Harry Tangye, who has attended over 150 fatal road traffic accidents and Ali Morrish, whose daughter died in a road traffic accident. Designed to help sixth formers and students think more deeply about driving, the film explains how the Learn2Live events enable young drivers to learn more about what action they can take to keep themselves and others safe on the roads. The live events use a film created by Wide Eye depicting a typical night out with friends, which culminates in a crash. The live events then cut to real life stories told in person by members of the emergency services and families, hitting home the full reality and fall out of a foolish, reckless or just an inexperienced action behind the wheel. Gilly Sowden, Director of Wide Eye commented: “Learn2Live targets young people as they are statistically one of the most at risk groups for road traffic collisions. They are also one of the most engaged groups when it comes to viewing film footage, which is why we work so closely with the Partnership, having produced over 30 films for them since 2008.